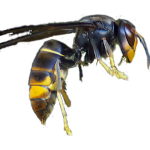 The Asian hornet, Vespa velutina, originates from Southeast Asia and is thought to have arrived in France (from China) in 2004, before spreading rapidly through France and Western Europe. V. velutina is a highly aggressive and effective predator of honey bee colonies, responsible for devastating losses. Vita supplies ApiShield, an Asian hornet and wasp trap. Slightly smaller than the European hornet, Vespa velutina has characteristic yellow legs, a dark velvety thorax and a dark abdomen with a distinctive yellow band on the fourth segment. Queens can be 30 – 35 mm long while workers are slightly shorter, at up to 25 mm long. The head appears dark from above and orange from the front, with dark coloured antennae. The Asian hornet can typically be seen hovering (‘hawking’) outside a honey bee colony, waiting to attack returning foragers. V. velutina is a day flying species which, unlike the European hornet, ceases all activity at dusk. The Asian hornet’s large nests can be found at the top of large trees but also in garages and sheds and even under decking. Nests are spherical, up to 90 cm in height, 70 cm in depth and beige or brown in colour. The most likely introduction pathway for V. velutina is accidental via trading activities. The fact that the fertilised queens can survive long periods of time hibernating makes it an ideal candidate for long distance transport in shipments of goods, for example in containers, in pots, in building material, under the bark of trees, in decorative material or wooden items or in cards, boxes, trucks, farming equipment, etc. Only one mated queen is needed to start a new colony and initiate further spread of the species; the French population originated from a single queen. In France, V. velutina spread to cover 120,000 km² within 3 years, demonstrating that it can colonise large areas in a very short period of time if the climatic conditions are favourable. Total eradication is generally considered impossible, but management plans can target the Asian hornet at different life cycles, and can include nest destruction, trapping of workers and queens, reproductive control and biological control. 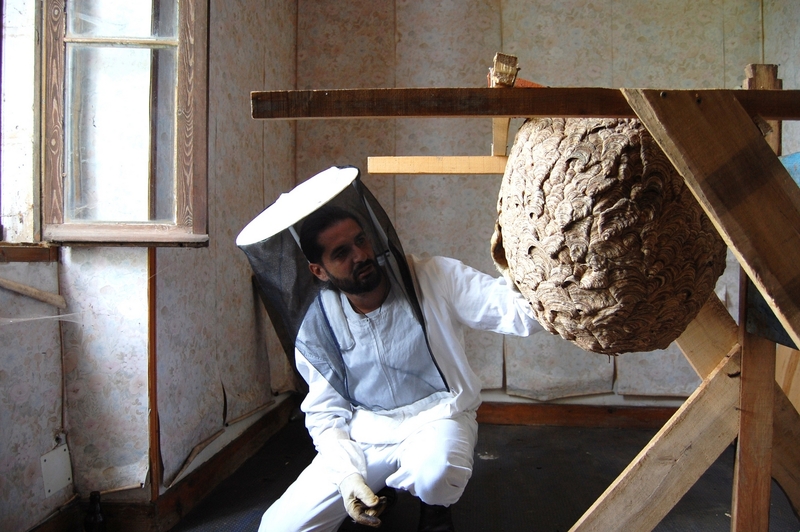 Nest destruction must not take place during the day or returning hornets will simply set up new nests in the vicinity, making the problem worse. Vita’s ApiShield trap is unique in trapping hornet workers and queens by using the bee colony as bait, thus requiring no chemicals or other attractants. 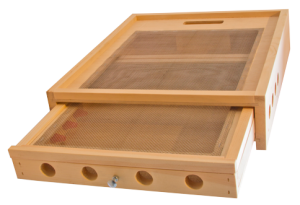 The ApiShield trap is selective to predators of honey bees, easy to use and low maintenance. Importantly, by trapping hornet queens, invasive spread is inhibited. Any suspected sightings of the Asian hornet in Britain should be communicated immediately (with photograph/s) to: alertnonnative@ceh.ac.uk or via the Non-Native Species Directorate. Although the Asian hornet has spread through much of NW Europe, it appears not to have established itself in Britain and, to date, the sea is providing something of a barrier. There have been sightings but so far all nests appear to have been destroyed.